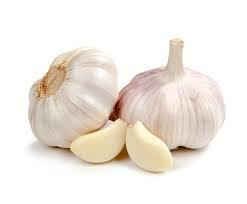 Garlic strengthens the immune system as well as helps to fight chest infections, coughs and congestion. In cold weather (when I make my tea the most), garlic is great in boosting your immune system and warding off colds and flu. Fungal and bacterial vaginal infections can be treated with garlic. When crushed or bruised, garlic releases Allicin which is a sulphuric compound that is a natural antibiotic. The allicin in garlic blocks the activity of angiotensin II (a protein that is responsible for increase in blood pressure) and helps in reducing blood pressure. The sulphur-containing compounds of garlic also prevent our blood vessels from becoming blocked and slow the development of atherosclerosis (hardening of the arteries). Garlic contains vitamin C, thiamine (B1), riboflavin (B2), niacin (B3), pantothenic acid (B5), vitamin B6, folate (B9). Minerals such as calcium, iron, magnesium, manganese, phosphorus, potassium, sodium , zinc, selenium. Garlic is a great source of antioxidants, has anti-inflammatory properties. Garlic contains allyl sulphides which helps prevent cancer and inhibits it’s progression. Garlic is really high in manganese, which contains enzymes and antioxidants that facilitates the formation of bones and connective tissues, bone metabolism, and calcium absorption. Garlic is good for protecting the heart, reducing blood pressure and cholesterol levels. But don’t overdo it excessive garlic consumption leads to increased body odour and irritation to the digestive tract. You are right Garlic is priceless gift for human by Almighty God.